Apparently, it really wasn’t time to change. But it is, in fact, 41 years later. As we reflect on what has transpired in the past four decades, I think we can say that we did not heed the Brady kids’ warning. People have been talking about changing the way we treat our world for as long as I’ve lived. It’s not that I didn’t know that the environmental movement began before the first Earth Day in 1969. Marvin Gaye was singing about it before the Brady’s did, and given the time it takes for a movement to enter pop culture, this had to be going on for quite a while. But since this time, we have chopped down more trees, our fish have even more mercury (and a bunch of other stuff too), and our air isn’t any cleaner. People do recycle now. The crying Native American convinced us to cut back on littering. Eco-friendly products are taking up more shelf space in our stores… even in our big box retailers. Yet, there are so many ways our society has become more wasteful. Think about all the cheap plastic toys in McDonald’s Happy Meals and the Dollar Store, for example. Our economy depends on people consuming. Many people still feel good about abundance. The image of the Christmas tree from which a river of gifts flows onto the living room floor… it’s iconic. I wonder how many people out there are like me, who feel the push-pull of our culture and the conveniences the American lifestyle feeds? I bet there are plenty who cringe when they pick up a box of Uncrustables, knowing they should take the two minutes in the morning to make the sandwiches themselves. Maybe there are others who drive around in their (non-hydrid) SUV, lusting after the Prius in the parking spot next to them. I often find myself slapping my own hand when considering my choices as a consumer. We all probably realize that our individual efforts are drops in an ocean without our government and the big players in our economy making major changes. And when this thought crystalizes, do you get frustrated to find yourself in this position? Do you give in and hope a more powerful entity will change? Or do you live your values, even though the world you live in makes it tough to do so? I wish the answer was as easy as a song. 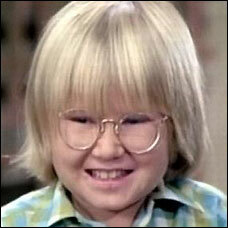 Calling All Brady Bunch Fans — Did Oliver Jump the Shark? 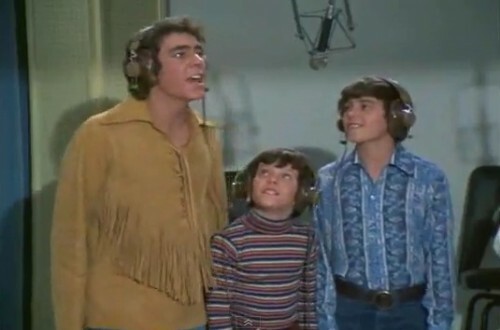 Tonight my children were introduced to Oliver of “The Brady Bunch”. (But not in real life… on TV.) My husband and I disagree about Oliver. I love him… thought he was adorable and that it was exciting that the Brady’s got to have a younger cousin living with them. My husband feels that it was “jumping the shark.” GenXers… what do you think?